It has been a while since I posted up another piece. I was just thinking of sharing with you a blog post that I had worked on 2 years ago with my sister Ms. Titilia on the “Role of Information and Communication Technologies (ICT’s) in Agriculture by Pacific Youth and Smallholder Agriculture Enterprises”. It is important for youths in our Pacific Region to learn and understand more about the importance of Information Communication Technologies (ICT) in the Agricultural field. Principal Crop: Fresh Taro mainly tausala and maleka dina variety. Figure 1: Tausala variety in the shed. 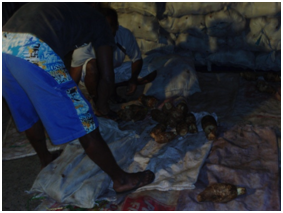 Members/farmers involved: Namosi, Naitasiri, Taveuni, Bua, Savusavu farmers and farmers in the Central Division. Staff: Staffs employed are from the nearby village or communities. Women do the cleaning and men do the packing and scaling of taro’s and packed into the container. Whilst processing, biosecurity officers will inspect, certify and release phyto certificate. Average size of farming enterprise: Island Express does not look at the size of the farming enterprise but the availability of taro. Whichever farmer has taro ready to harvest the company goes to buy from them. 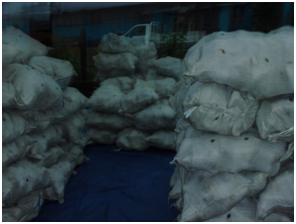 Production/Supply side: The taro variety that is in demand for export is “tausala” and “maleka dina” taro. Most farmers (suppliers) farm on a larger scale and takes 6-7 months to harvest the taro. The company also educates farmers or encourages farmers to farm on a larger scale hence farmers would be able to produce more therefore earn more money. During grading the company would advise farmers which taro variety is best suited for export purposes and which ones is best suited for our local markets. At the moment supply is low whilst demand is high. This has also affected the size of the taro. 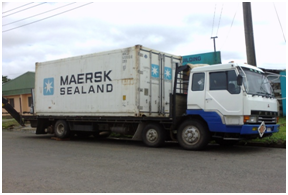 Transport: Island express provides transport to and fro from the farming sites in either to provide assistance such a as manures etc. to the farmers and also to assist in the harvesting of taro’s. Harvesting: Once taro is ready for harvesting, the farmers calls there buyers. Island Express hence places there orders and advices the farmers on the day of their visit and the farmers would harvest there taro’s on that particular day of visit. 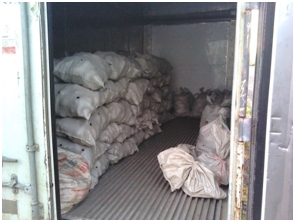 In order to fill 1 whole container, at least 13 tonne (430 x 30kg bags) of fresh taro has to be packed. Processing is done every week depending on the availability of boat for export. Value Adding Market: Taro is exported to New Zealand. The term ICT in my own understanding would mean: “Gathering and dissemination of information’s and communications of individuals through internet i.e. emails, blogs, skype, video conferencing, television, radio, media advertisement, posters, newspapers, pamphlets and mobile phones, etc. ICT is needed to manage an agricultural enterprise efficiently and it is important that the information’s and knowledge gathered is accurate or complete in order to deliver good decision makings. Information’s about the agricultural enterprise’s task/functions and schedules of mentioned phases are disseminated to the farmers in means of traditional methods i.e. Newspapers, pamphlets, posters, radios and television etc. This normally takes a longer time for information to reach the farmers hence verbal communication, phone calls and use of internet via emails are used as it is more efficient than the traditional methods. Island Express had stated that their means of communication with the farmers (suppliers) is mostly done through mobile phone calls as it is easier and faster. Not all farmers have access to internet for communication via email with their buyers hence the use of mobile phones. Also most of the telephone companies offer special promotions like free bundle of calls and texts locally so this is not costly for both producers and consumers. Also internet network is not available in all the rural areas where farmers live. Some parts of Fiji e.g. the interior of Namosi, where there is no Vodafone, Digicel and Telecom Fiji Limited Network Coverage, farmers use satellite phones to contact Island Express when the taro is ready for harvesting or vice versa where Island Express calls the farmers to place orders on taro’s to be bought. We should also bear in mind that a mobile phone has features such as a camera on phone. Farmers would be able to capture photos of pest and disease from the field with much finer resolution and then refer to Research organizations such as Biosecurity, SPC, etc. for identification and verification. This would assist in answering to the queries of farmers; hence enhancing their knowledge on the new found pests and diseases on their farm. In other parts of Fiji for instance the interior of Namosi and Naitasiri (Tubarua village) none of the mentioned ICT tools above is available to the farmers including satellite phones and this is where verbal communication comes in. The staffs have field visits to the farms and verbally inform the farmers on their schedule e.g. 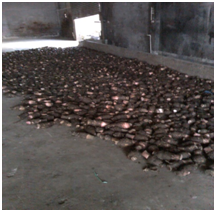 date of grading, etc and also to educate farmers on what taro variety is high in demand from the export market. 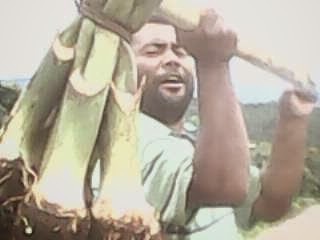 The staff of Island Express would have to drive up to Sawanikula point to meet the farmers with their taros. 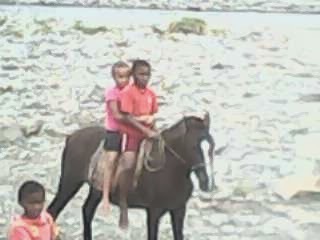 There are certain farmers in Tubarua village that lends their horses for hire to other farmers. One horse would carry a maximum weight of 140kg worth of taro on horseback per trip to the pickup point which is Sawanikula. A farmer and horse would have to cross the same Wainimala River 21 times to get to the pickup point. Markets in developing regions are about distributing information and most markets assume that everyone knows this information, e.g. cost of produce and processing times. Some farmers are not aware of market price in the urban areas and also internationally. One village would be selling at a different price from the other village. Mobile phones play an important role of keeping both parties i.e. producers and consumers informed on the costs of produce both locally and internationally. In conclusion, mobile phone is seen to play a vital role of ICT in Agriculture. It connects both producers and consumers technologically in order to disseminate informations and communicate with each other. Wow, Excellent post. This article is really very interesting and effective. I think its must be helpful for us. Thanks for sharing your nice post. 0892 22 20 22 voyance web Gratuite AMOUR par téléphone. Parce que demain est un autre jour, ne restez pas dans l'ignorance : la voyance peut vous aider. Gadgetar | big tv Deals. Electronics, Laptops, Desktops, Games, Tablets, Cell Phones, Computer Hardware, Hot Deals, Networking, Coupons, FREE Deals. In today's modern world it is very easy to just buy a gift card as a gift and people have become used to that. The truth is that a gift card doesn't say anything special, though. What really speaks wonders is a flower arrangement from www.FlowerDeliveryNYC.com. Our company is a leader in providing flowers to those in New York. No other company delivers like we do, and here is why. Flowers are for every occasion and we at Flower Delivery New York City know that. Our flowers can be customized for any occasion. Our most common occasions are birthdays, anniversaries, holidays, sympathy, and funerals. Our most common options aren’t limits. If you can’t find what you need on our website, you can always call us and we can work with you to create what you need. What makes www.FlowerDeliveryNYC.com different? As a company and as individuals we believe that NYC flower stores have become very focused on mass selling, including telemarketing tactics. At Flower Delivery New York City we believe that flowers are something personal and as such, they are something that can’t be done with computers. All of our orders are picked by real people who assemble the order, and then stage it for delivery. A real business is not just a company name; it is the people behind it. Many stores today will have return policies and guidelines but NY flowers need something more than that. NYC flowers should guarantee your satisfaction and that is exactly what www.FlowerDeliveryNYC.com does. Every order from www.FlowerDeliveryNYC.com has a 100% satisfaction guarantee. If your order doesn’t meet your standards than Flower Delivery New York City will make it right. Delivery is one of the most important parts of getting flowers in NYC. www.FlowerDeliveryNYC.com can also help companies to brighten up their workplaces. We provide corporate flower services to many companies around NYC. After going to the location and determining arrangement sizes, needs, lighting, and more, we craft a fresh arrangement for our business customers every week. Our corporate flower customers place arrangements in board rooms, lobbies, reception areas, and even bathrooms to add to the interior design. New York City is filled with people and businesses, and there are even a lot of flower businesses, so what makes www.FlowerDeliveryNYC.com stand out? We believe that customers are the heart behind our business and that they deserve the same service we would expect in their place. Each order is more than just an order of flowers in NYC, it is an order that is handcrafted with care. for crowdfunding is a financial transaction tools and methods that involve large numbers of people to fund a project. Boca Car InsuranceSeeman Holtz Property & Casualty Insurance Local Agency Expertise With National Agency Resources.